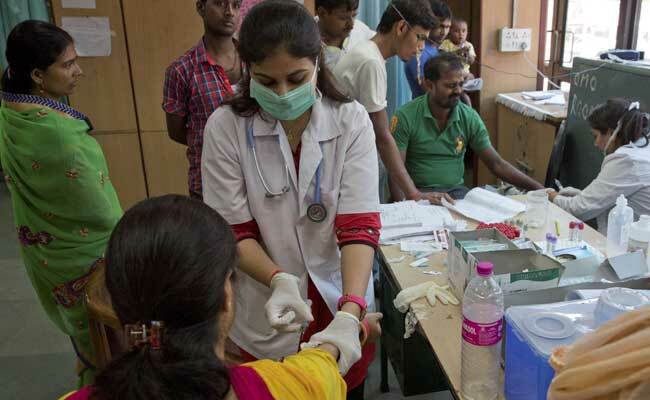 As many as 1,158 dengue and 1,057 chikungunya cases were reported in Delhi last year. New Delhi: The AAP government was today told by the Delhi High Court to "lead by example" to prevent rise in vector-borne diseases so that dengue and chikungunya outbreaks do not recur this year. "Let this year be not a repeat of what has happened in the past," a bench of Acting Chief Justice Gita Mittal and Justice Anu Malhotra said and asked the AAP government to "lead by example". "One expression comes to mind - lead by example and others will follow," the bench told the Delhi government lawyer after he said that all the authorities need to sit together to solve this problem. "We can be at loggerheads over anything else but not on public health," it added. The submission by the lawyer came after the court said that increase in vector-borne diseases, like dengue, malaria and chikungunya, in the national capital, "requires extremely serious action" by all authorities. The bench said it was a "worrisome" issue as several lives were lost due to the ailments and asked Delhi government and other authorities to show what they have done so far. It also suggested to the Delhi government to use its 'mohalla clinics' and ensure that sewers are cleaned to prevent spread of the vector-borne diseases. The bench gave the directions as it had come across a news article which said that as per a Comptroller and Auditor General (CAG) report tabled in the Delhi Legislative Assembly nothing much has been done regarding outbreaks of such diseases since 1967. The report of March 10 this year also said that due to inaction by the authorities, the cases of chikungunya and malaria have risen exponentially. The CAG report stated that the municipal bodies spent Rs 109.43 crore between 2013 and 2015 on domestic breeding-checkers without any supervision of the work done or any assessment. The CAG also criticised the Delhi government for spending Rs 10.04 crore during 2013-15 on dengue awareness campaigns after its outbreak. The court also directed the Delhi government to "examine and address" the issues raised in the report and include the results in its action taken report to be filed as per the court's April 21 order. In its April 21 order the high court had directed the AAP government and civic bodies to ensure that no dengue or chikungunya cases occur this year in Delhi. The court had also asked the agencies to inform it about the preventive steps they have taken, in comparison to last year, with regard to breeding of dengue mosquitoes. The court's direction had come on two pleas accusing the AAP government and MCDs of not acting vigilantly and responsibly to control dengue and chikungunya outbreaks. Four dengue deaths and as many as 1,158 dengue and 1,057 chikungunya cases have been reported in the national capital till September 10 last year.